1) Join our email list. If you're already on it, cool. Thanks. If not, use the link on the upper left of this page to sign up. And fear not: we send out about one email per month listing upcoming shows and etc. The content is often mildly entertaining and always clean enough to receive at work. 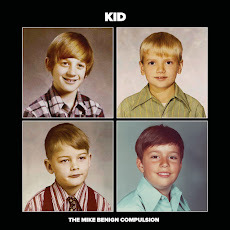 The Mike Benign Compulsion's latest album is called "Martha." What did the band almost name the album, and why did they decide to change it at the last minute? The two best answers win. Note that we didn't say "right" answer. There is no right answer. Just the ones we find the most amusing. Email your answer to tmbcompulsion@live.com. We'll preview some of the best answers in the next week on our Facebook page and our website. Then we'll announce the winners on both sites on or around July 1st. Watch Facebook and this site for the winning entries. Two winners will each receive two free tickets to Summerfest, plus copies of the band's "Martha" and "Rollicking Musical" CDs. That's a $54 value, all for making a few smart remarks in an email. See you at Summerfest on July 8th!